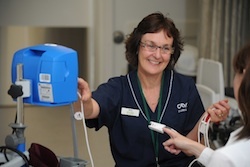 Sarah graduated from Wellington Polytechnic in 1991 as a registered comprehensive nurse. 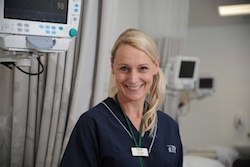 After initially working in New Zealand on urology and ENT wards, and ophthalmology on the weekends, Sarah went overseas gaining experience working at Moorfields Eye Hospital, London, as a theatre nurse. On arrival back in Auckland, Sarah worked on general surgical wards before accepting a casual appointment with Auckland Eye as an ophthalmic nurse. Her skills were soon noticed and she became theatre manager at Auckland Eye in 1999. 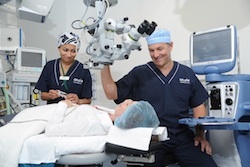 With the increasing number of ophthalmologists at Auckland Eye, the decision was made to build a surgical facility next door to the practice. Sarah was instrumental in the development of Oasis Surgical - from its conception, design (exterior and interior) , equipment and final unveiling, which took a long 10 years. Sarah is thoroughly enjoying working with the Oasis Surgical team in a new spacious environment, that can provide the patients privacy and quality surgical care. 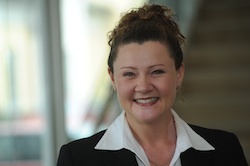 Helen joined Auckland Eye in February 2005 after moving to Auckland from Sydney. Helen found the change to ophthalmology and the role of theatre bookings co-ordinator demanding but rewarding. Especially with the growth of the practice from 9 to 12 surgeons over the years and the constant innovation of procedures offered to the patients. 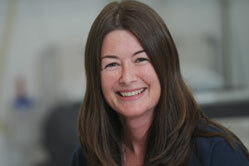 Helen returned from maternity leave in late 2011, taking up her new role as Co-ordinator of Oasis Surgical. Helen enjoys her role of liaising between Auckland Eye and visiting surgeons, their patients and staff in such a state-of-the-art facility.